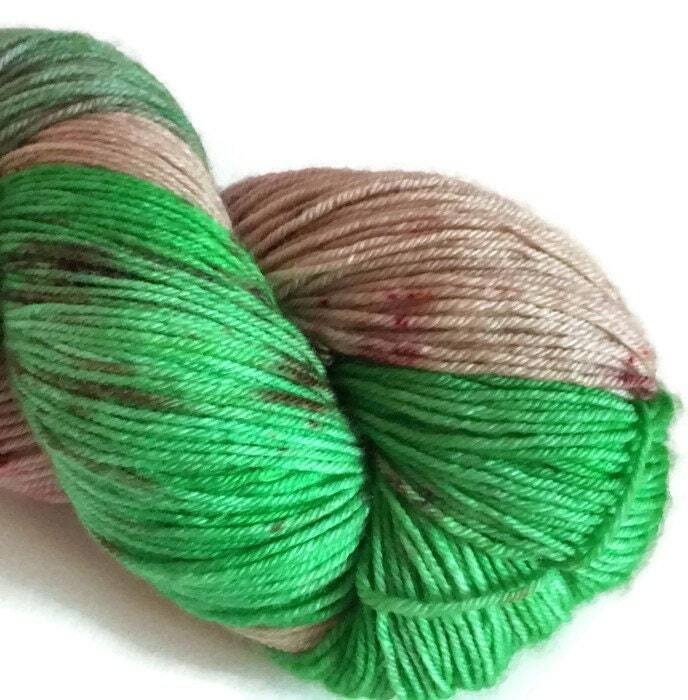 Hand dyed wool, this skein is unique! Very bright color variations. * Important * I use now an appliance vacuum to ship your purchase at a low cost, this will not affect the quality of the product and protects your wool from the weather. 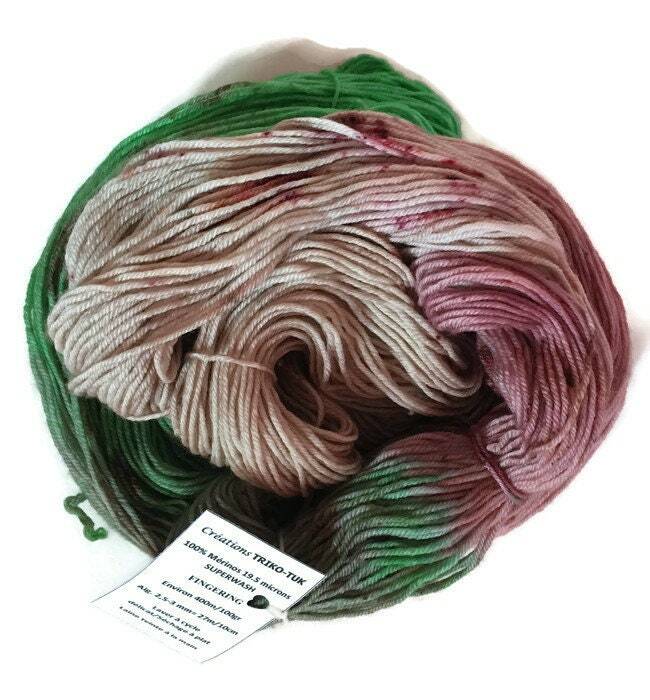 When you receive your skein it will be provided in a sealed bag, shake a little after opening and prepare your skein to knit! 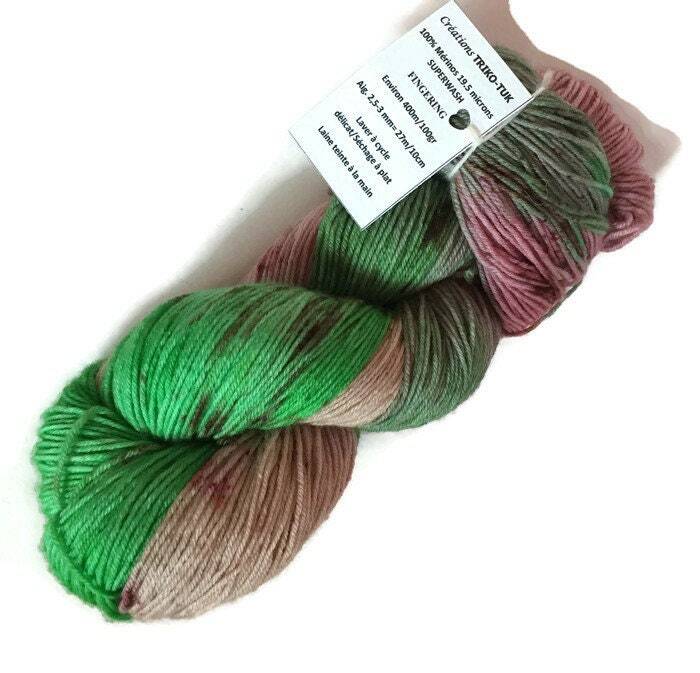 I use dyes and quality processes, each skein is washed several times, it could be a slight excess dye, this will not affect the quality of color. Pictures are made in the best possible conditions to avoid a variation in color, however, each is different, it is possible the received product differs slightly. Machine washable on gentle cycle, ideally by hand. 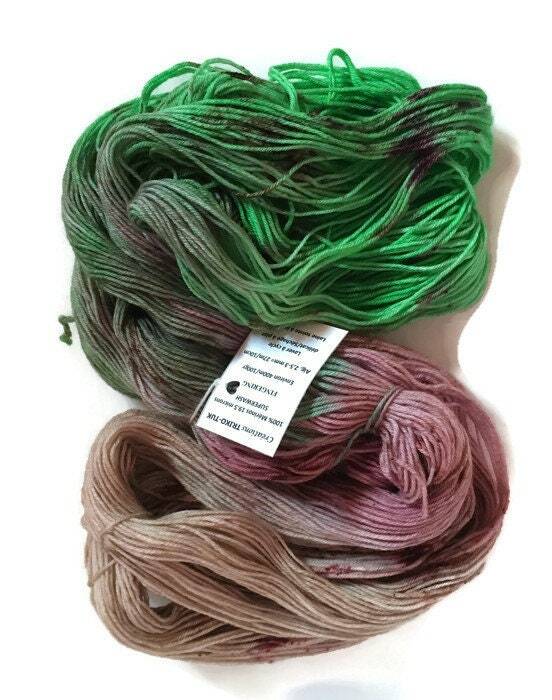 A beautiful, very soft high quality wool.